Well capitalized and operating with transparency, this renewable energy developer planned to bring solar energy plants to regions where they’d be most viable. However, the company was operating in a market where those looking to make a quick buck had left property owners and investors feeling gun shy. 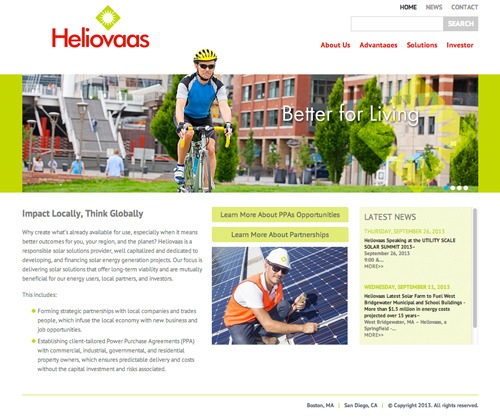 To help assuage any fears and position Heliovaas as a reputable choice, LSHD developed an informative website based on the tag line, “Energy for the Next Generation.” The messaging expresses the company’s desire to establish long-term relationships, assuring the audience that the company has their best interests in mind.